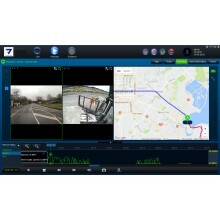 Fleet view is a combined vehicle multi-channel camera system designed for fleets. 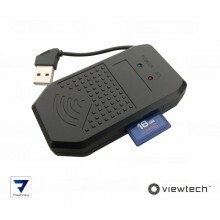 It allows fleet managers to live view, replay and backup video accross multiple vehicles. High quailty hardware combined with a feature rich server software package allows video and GPS data on each vehicle to be analysed and backed up. 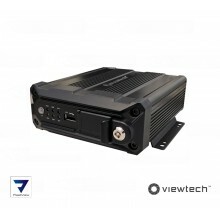 Viewtech has extensive knowledge on designing a system for any vehicle industry. Fleetview can assist with risk management, stock shrinkage in logistics industries, blind spot management and damage control in material handling industries. Our system is extremely scalable anywhere from one system through to hundreds all which could be accessed remotely. Contact us today to find out how FleetView can assist your Fleet based business. 4 Channels of analogue or AHD recording, 1 x IP camera, 2 x SD Slot, GPS. 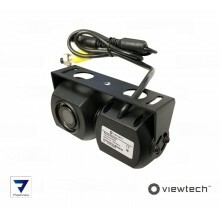 Dual camera modules provide a forward facing and driver facing view. 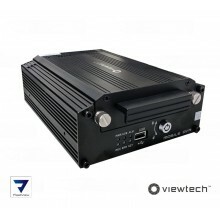 Allows live view, replay, backup and realtime access to any FleetView Mobile DVR. 4 Channels of analogue or AHD recording, 1 x IP camera, 1 x HDD Slot, GPS.